A car is a tool: it’s something that we use that is supposed to get us from point A to point B. Cars should be safe, cost-effective, and reliable. But let’s face it: cars are more than all of this. To us, to our family and friends, and to society at large, our car is a marker of everything from our fashion sense and priorities to our economic means. Like it or not, it’s important to have a car that looks good on the road. From making a better impression on folks that can help your career, to making the police a bit less likely to pull you over, a classy-looking vehicle can make a big difference. Be sure to check out your local car dealership and browse their luxury or sports cars in addition to the conventional makes and models for a broader perspective. Here’s why and how you should make sure your car looks its best. Why Bother to Beautify a Car? We touched briefly on the reasons that you ought to care about your car’s appearance. But don’t assume that social pressures are the only reasons to enjoy a better-looking car! There are other concrete reasons why it’s worth investing in your car’s looks. For instance, did you know that one way to preserve your car’s looks--detailing (which we’ll talk about more in a moment)--is also a way to preserve the resale value of your vehicle? And what about your mental health? You might not think that you care about how your car looks, but experts are always finding new and interesting ways in which our daily environments and interactions affect our moods and mental health. If you commute by car, and if you interact with others in and around your car, its condition could make a big difference. The perception that others have about your car can affect your interactions, too. Your dates and significant others care about your car, studies suggest. So do your coworkers, clients, and business superiors. Even police officers can make judgments based on your car--and having a nice-looking car can keep you from being pulled over as often, which will save you money (and time). In short, having an attractive car is important. But what can you do about the way your car looks? Let’s start with the big-picture stuff. Scratches, dents, and other related problems may be more than cosmetic--such issues can encourage rust and really damage your car in the long run. Act quickly to fix those. Look for other obvious blemishes, like overspray (excess paint, clearcoat, or other contaminant that is not easily removed). Work with overspray removal experts to significantly improve the look of a car with this problem. Working with experts to take care of immediate problems isn’t the whole story with car cosmetics--far from it. 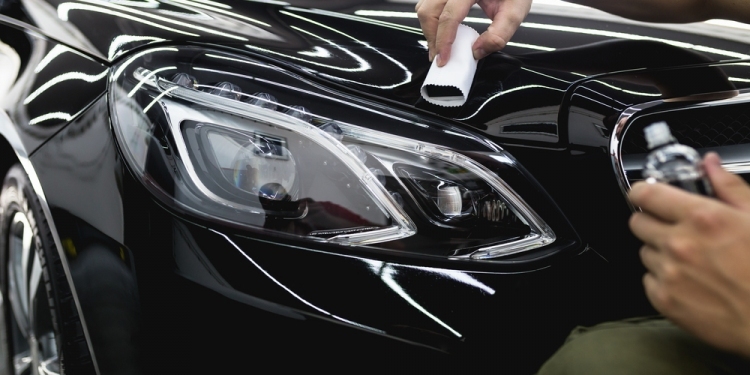 The everyday work that goes into your car’s appearance matters, too. Make sure that you’re washing your car regularly--inside and out. Occasionally, spring for car detailing. Car detailing is a deep clean of your vehicle that makes the car look and feel factory-new again. Deep cleans and waxing will help ensure that problems with your car’s looks--as well as some problems that go deeper than that--are prevented or solved early on. This can help your vehicle maintain its value in the long run. Keeping up with your car’s looks isn’t shallow--it’s a smart investment in your comfort, mental health, and financial situation. With a bit of regular maintenance and a proactive attitude towards larger cosmetic and structural problems, you can get more out of your vehicle while enjoying using it more.